Wow. It's a tough year to be a Survivor Pool player. Not many survivors out there after, for the second time in this short four-week season, a strong pick was a total disaster. Now, this week was nothing like the Black Sunday of Week 2 - that week well over 90 percent of active players were eliminated after New Orleans and everyone else didn't do their jobs. The six most popular picks at Yahoo, for example, all failed to win. This week, though, Arizona was the second most popular pick and didn't get it done against the Rams. So, if you are still standing you are very lucky - and you need to keep it rolling. On paper, at least, this is a fairly straightforward week. Of course, I said the same thing last week, and Arizona knocked me out of two pools. 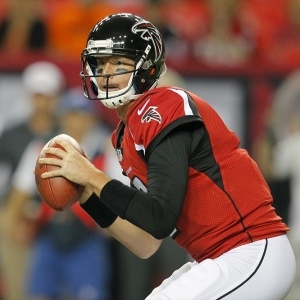 Atlanta (-8) vs. Washington: This is, by a large margin, the most popular pick this week. Deservedly so, too. The Falcons are playing well, and the matchups here are favorable. The debate isn't whether Atlanta is worth picking - they are - but whether they are the right choice for you. It depends upon your risk tolerance, how many people are left in your pool, and so on. It's likely that about a third of all remaining players will pick Atlanta. You can go with them - and hope that things go badly for the players that don't pick Atlanta - or you can pick someone else and hope the Redskins play their game of the year. It's up to you. Green Bay (-10) vs. St. Louis: Green Bay is going to be a pretty popular pick - though not as popular as they could be because they have already been very viable picks a couple of times this year and are off the board for a lot of players. I don't have the option of picking Green Bay, but even if I did I would be hesitant. Green Bay did not look as good offensively last week as I would have hoped, and Arizona learned the hard way that St. Louis has a very potent defensive line. Green Bay is probably going to win the game, but it isn't the slam dunk that the odds would suggest, and I'd look elsewhere. Kansas City (-10) vs. Chicago: The Chiefs are currently the second most popular pick in pools and are likely to stay that way. It isn't exactly complimentary to the Bears that they are a heavy underdog to a team that is 1-3 and just got pasted by Cincinnati. Nothing about this pick makes me comfortable. Chicago beat the Raiders last week and gave the Packers all they could handle in the opener. They aren't a great team, and they were shut out in their only road game up to this point, so I'm not suggesting that they are going to win this one. This is the worst team that Chicago has faced, though, and it's not like the Chiefs are doing anything particularly inspiring. I don't like having my fate determined based on the performance of lousy teams - especially only in Week 5 - so I would look almost anywhere else but here. New England (-9) at Dallas: If New England is available to be picked in any pool you are alive in then you should probably pick them. They are at least as likely to win here as Atlanta - the Cowboys are banged up, the Patriots are well-rested, Tom Brady is the best player in the league right now, and the coaching disparity here is almost overwhelming. What makes New England attractive, though, is that they are not very popular in relative terms this week - the other four teams in this article this week are more popular among players than this one. It's not often you get a chance to pick a team this good with relatively little company. Take it if you can. New York Giants (-6.5) vs. San Francisco: I really hate picking teams I don't trust unless I absolutely have to. The Giants are not consistent or particularly good. The lineup is challenged, and their mental game is weak. San Francisco is worse in most every way right now, and the Giants should win, but you never know what team is going to show up. There are much better plays to be had. Pick them if you have to, but don't rest easy if you do.